After the Attack: The Unseen Torn and Tattered Lives of Terror Survivors - Breaking Israel News | Latest News. Biblical Perspective. As ZAKA volunteer Moti Bukchin said the words of the Havdalah prayer that transitions the Jewish people from the fragrance of Shabbat into the mundane week – “Behold, God is my savior, I will trust God and not be afraid” – this past Saturday night, his thoughts were not on his children playing or the delicious food his wife had prepared for the holy day. 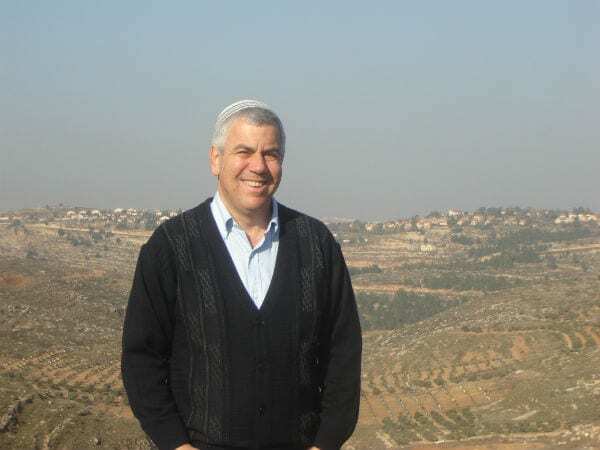 Rather, his thoughts had drifted to a scene several kilometers away, to the heinous terror attack in the Samarian community of Halamish. On Friday night, 19-year-old Omar al-Abed entered the Salomon family’s home and murdered 36-year-old Elad Salomon, 46-year-old Chaya Salomon and their 70-year-old father, Yosef Salomon. Yosef’s wife, 68-year-old Tova, was also stabbed and is presently listed in serious condition at Shaarei Tzedek hospital in Jerusalem. Elad’s wife rushed the children into a back room and locked the door, which the IDF says most likely saved them from being victims of the bloodbath. 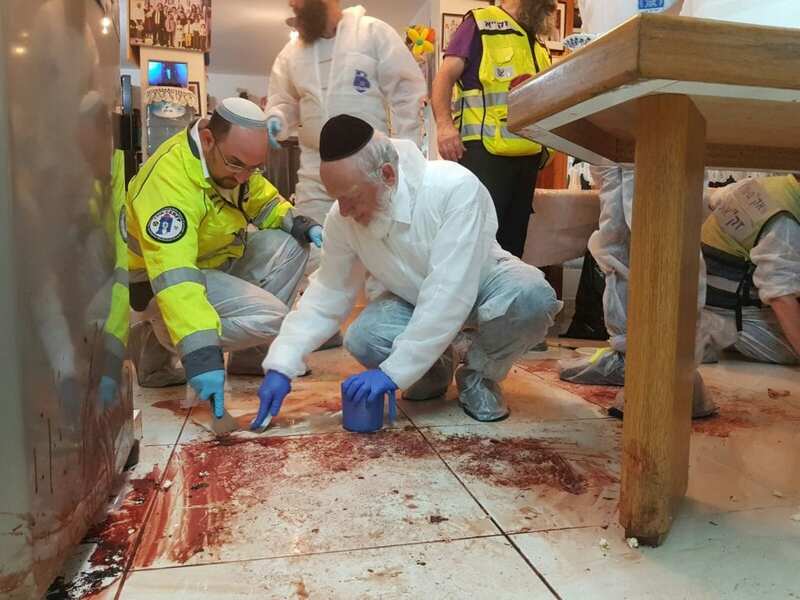 “I complete the Havdalah ceremony with the words, ‘Who separates between the holy and the profane; between the light and dark; between Israel and the other nations’,” said Bukchin, who joined other ZAKA volunteers to clean up the blood and other human remains at the scene of the crime. ZAKA volunteers are not allowed to take care of blood remains on Shabbat, explained Mati Goldstein, chief officer of the ZAKA International Rescue Unit. As such, he walked into a very complicated and dark scene on Saturday night – the yet untouched home of the murders. The job of ZAKA is to make sure there are no traces of blood left so that survivors can come into the home to sit shiva, the traditional week-long mourning period. ZAKA also secures any remains in special blood and body bags that can be buried with the victims, as is protocol in Jewish law. Goldstein already knew about the attack on Shabbat; he had received word on his ZAKA beeper. But he could not tell anyone what happened, so as not to disrupt the sanctity of the Sabbath. He held in news of the tragedy throughout the Jewish day of rest. Then, at nightfall, he shared the news with his wife and set out to the scene of the crime. Here, they celebrated the new life of a baby, and then a terrorist came and took away lives. The family didn’t even have a chance to touch the foods they had prepared to celebrate the newborn. Even though ZAKA left the house clean and white, the community will forever be affected by such events. According to Victor Waknine, a member of the Halamish communications department, already on Shabbat, community discussions about how to handle the tragedy took place. Psychologists and other professionals met with children and young adults in their classrooms and in community centers. “Children very often appear to hurry through the healing process and aside from the immediate shock and tears and visible suffering, children usually bury it inside – they don’t know how to deal with it verbally,” Rubin explained to Breaking Israel News. The results can be symptoms that surface months or even years later. These include the inability to sleep, fear of going to sleep, sudden acts of aggression toward other children that defy rationality or sudden panic attacks. Moreover, he said the impact of an isolated attack in Halamish could affect not only the family or neighborhood, but all of Samaria. Similarly, Sarri Singer, the founder and director of Strength to Strength, a non-profit organization that brings bereaved family members and victims of terror from around the world together to heal, said terror victims are often forgotten when “the next thing” happens and some other event takes over in the media. “People need to realize, an attack happens in an instance, but its impact lasts a lifetime,” Singer, who survived the terrorist bombing on the No. 14 bus in Jerusalem on June 11, 2003, told Breaking Israel News. She said support is not one-size-fits-all. Victims and their families can need emotional, physical, medical, psychological or financial support for years following an attack. OneFamily, an organization that rehabilitates, reintegrates and rebuilds the lives of Israel’s thousands of victims of terror attacks, connects survivors and their families with support groups to help them transition to a “new normal,” said OneFamily clinical social worker Yehuda Ish Shalom. 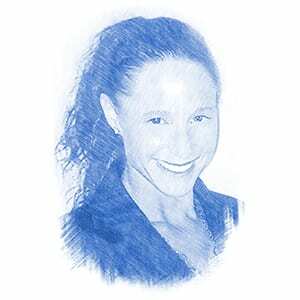 “We help them choose life again,” Ish Shalom told Breaking Israel News. In the meantime, Waknine said the community of Halamish is trying to rile up its strength. On Saturday night, several young adult members of the community set up tents and sleeping bags on a nearby hilltop in an effort to show the world that they will not only maintain their hold on this Biblical land, but expand it in response to terror. Waknine said Halamish wants to build a new neighborhood of 50 homes – already approved minus one final stamp of approval by the government – that it would now name in honor of the victims, Elad, Chaya and Yosef. “We want a Zionist answer,” he said of the community’s efforts to expand. The victims’ funerals are scheduled for Sunday at 5:30 p.m. Israel time.